The original DTP vaccine (diphtheria, tetanus and pertussis) became available in the USA in 1948 and was critical to dropping the number of cases of whooping cough from 260,000 in 1934 to less than a few thousand per year in the 1990′s. The original vaccine contained what was called “whole-cell” pertussis, which includes all of the antigens of the pertussis bacterium, partially because it wasn’t understood (and to some extent still not fully understood) which antigens on the bacteria actually induce the proper immune response to have the body destroy a pertussis infection. In the late 1990’s, the Advisory Committee on Immunization Practices (ACIP) recommended that the USA switch to the acellular form of the vaccine, known as DTaP (a pediatric vaccine to immunize against diphtheria, tetanus and pertussis) or Tdap (the older children/adult version of same vaccine). Despite the medical understanding of the consequences of whooping cough, a study published in March 2013 showed that the rate of undervaccination increased significantly in several US managed care organizations dropped significantly between 2004 and 2008. 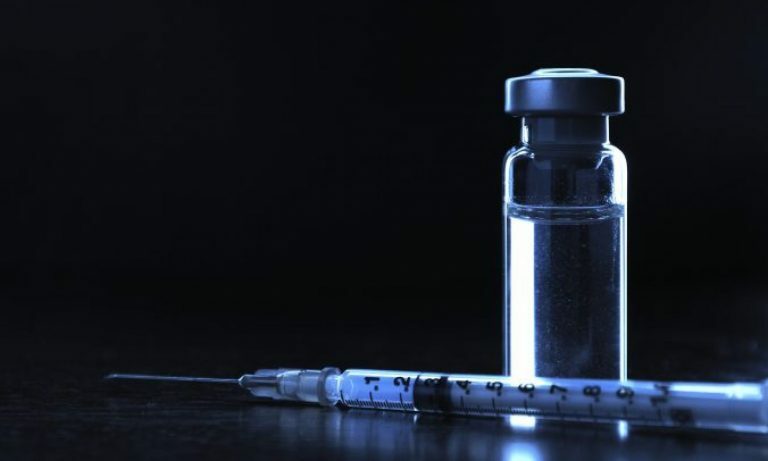 The reasons for undervaccination included parental choice (vaccine refusal) and other typical reasons, including lack of health care and medical contraindications to vaccination. Several studies have shown a reduced protective effect of the pertussis vaccine (probably as a result of the acellular version of the vaccine) which may have lead to the resurgence of pertussis in the USA. These issues have lead to a few myths that include the belief that children who are vaccinated with DTaP are actually at higher risk of contracting pertussis (fully refuted). The vaccine quack website, Age of Autism, pushed other myths about DTaP vaccination. These various ignorant beliefs about the pertussis vaccine has strongly contributed to the reduction in the uptake of the pertussis vaccine amongst the most vulnerable children. An unvaccinated child was 2.25X more likely to contract pertussis than a child with just one vaccinations. 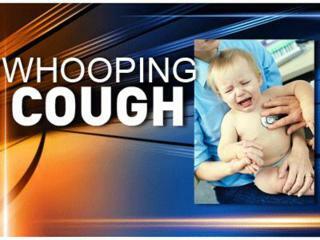 They were 3.41X likely to get pertussis than a child with two vaccinations. They were 18.56X more likely to contract the disease than a child with three vaccinations. And, most dramatically, they were 28.38X more like to get pertussis than a child who is full vaccinated. In fact, the overall risk of a non-vaccinated child contracting pertussis is 4.36X than children who have had any number (1-4) of DTaP vaccinations. This remarkable and statistically significant reduction in risk of contracting pertussis, especially after being fully vaccinated at 36 months (4 immunizations) fully refutes and debunks the belief, pushed by vaccine deniers, that somehow vaccinated children are the ones catching and passing along the disease. Our data suggest that undervaccination, whether due to parental refusal of vaccines or other barriers to health care, is an important contributing factor, especially given the documented increasing rates of undervaccination in 2 recently published studies. Undervaccination with DTaP vaccine places infants and young children at increased risk for pertussis. Although not supported by our data, it is also possible that undervaccination indirectly threatens the health of surrounding populations that are at high risk for serious complications from pertussis, such as infants who are too young to be vaccinated. We believe that our study supports on-time vaccination with DTaP vaccine, as recommended by the Advisory Committee on Immunization Practices. It’s useless to engage intelligently with the ignorant vaccine refusers that populate the backwoods of the internet. But if you’re undecided about vaccines, or you keep hearing the lies of the antivaccination gang, listen to real science. Pertussis can kill, it can harm, and it can put your precious child into an intensive care unit in a hospital. This will cause you sleepless nights, unbelievable stress, and untold economic damage. Your child will be in pain. Your child’s pain will break your heart. But we have scientific evidence, at the highest possible level of reliability, that shows vaccinating your child with all age-appropriate vaccines will make their life better, and as a consequence, make your own life better. You can listen to the lies of those who suffer from the Dunning-Kruger effect, individuals without any education or any real scientific knowledge but who have an illusory belief in their own superior knowledge, and risk your child’s health. Or you can listen to hard-working, well educated, and very devoted individuals, who make their life’s goal to saving children’s lives and who produce evidence strongly in support of the effectiveness of pertussis vaccines. Yes, there’s a choice, but the evidence, the highest possible quality evidence, sits on the side of the safety and effectiveness of vaccines. Glanz JM, Newcomer SR, Narwaney KJ, Hambidge SJ, Daley MF, Wagner NM, McClure DL, Xu S, Rowhani-Rahbar A, Lee GM, Nelson JC, Donahue JG, Naleway AL, Nordin JD, Lugg MM, Weintraub ES. A population-based cohort study of undervaccination in 8 managed care organizations across the United States. JAMA Pediatr. 2013 Mar 1;167(3):274-81. doi: 10.1001/jamapediatrics.2013.502. PubMed PMID: 23338829. Impact factor: 4.140. Glanz JM, Narwaney KJ, Newcomer SR, Daley MF, Hambidge SJ, Rowhani-Rahbar A, Lee GM, Nelson JC, Naleway AL, Nordin JD, Lugg MM, Weintraub ES. Association Between Undervaccination With Diphtheria, Tetanus Toxoids, and Acellular Pertussis (DTaP) Vaccine and Risk of Pertussis Infection in Children 3 to 36 Months of Age. JAMA Pediatrics. 2013 September 9. doi:10.1001/jamapediatrics.2013.2353. PMID: Impact factor: 4.140.